Hellgate Hunters & Anglers: More Hunters and Anglers? Yes Please! More Hunters and Anglers? Yes Please! The U.S. Fish and Wildlife Service’s preliminary hunting and fishing numbers show that over the past five years there were nine percent more hunters and 11 percent more anglers throughout the nation. These increases are proof that sportsmen recruitment and access efforts are working! The survey also found that more than 37 million hunters and anglers spent $90 billion last year nationwide. That number doesn’t include secondary economic boosts like the creation of new hunting or fishing-related jobs. It is clear that this sustainable, non-exportable industry provides great value during tough economic times. The uptick is particularly welcome news for our nation’s state wildlife agencies. The agencies responsible for maintaining healthy populations of fish and wildlife as a public trust for all of us get the vast majority of their funding from hunting and fishing license fees. Additionally, sportsmen and women had the foresight to fund conservation through excise taxes on the guns, ammunition, bows, arrows and fishing equipment we use. One of the National Wildlife Federation’s first achievements was the passage of the Pittman-Robertson Act in 1937. 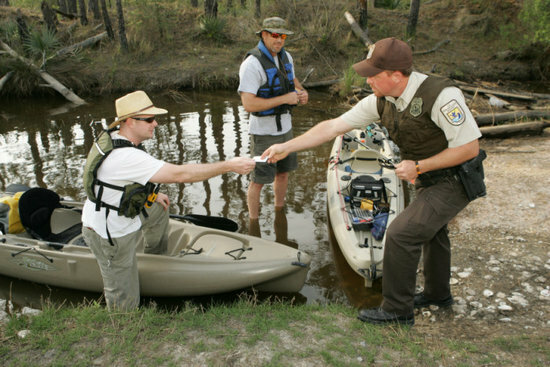 This established the first excise taxes to be collected into the Wildlife and Sport Fish Restoration Fund and distributed to states. Since its inception, the Wildlife and Sport Fish Restoration Fund has provided more than $14 billion to support fish and wildlife restoration and management. Another number to note from the survey is the increase in wildlife watching. Last year 72 million Americans engaged in wildlife watching, contributing $55 billion to our nation’s economy. One big difference between the hunting/angling and wildlife watching communities is that wildlife watchers have not yet taxed their gear to contribute to conservation and don’t pay license fees. Attempts have been made to place excise taxes similar to those on guns and ammo on items like binoculars, cameras, backpacks—to no avail. I have high hopes in the American people that these efforts are not over. For the Montana, the increased numbers of hunters and anglers across the country is good news for a different reason. I am hopeful that the more people who connect with the natural world—be it through hunting and fishing or through wildlife watching—the more advocates there will be for conserving our natural resources, including the great American landscaps like the Rocky Mountain Front, and the Mississippi River Delta.